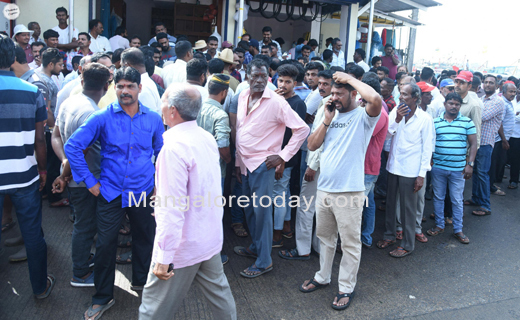 Mangaluru, Jan 26, 2019: Trawl boat and gillnet fishermen have been protesting since Saturday morning at the fisheries port in Mangaluru to oppose the moves of some purse-seine boat fishermen to resort to light fishing. 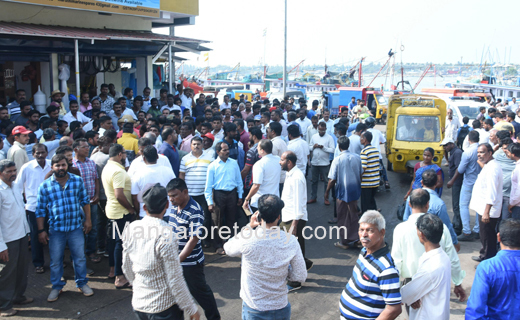 The protestors alleged that some purse-seine boat fishermen have decided to venture into fishing using lights from Monday despite a ban on the same by the Government. 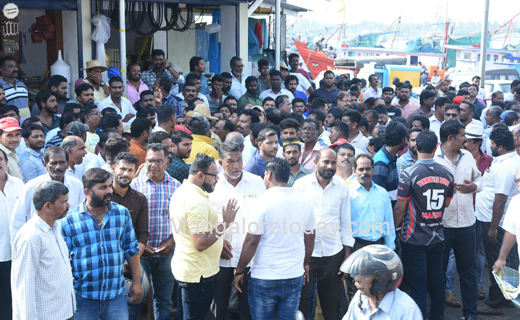 The protesting fishermen also demanded that the fish netted by fishermen in purse-seine boats using this banned method should not be purchased. 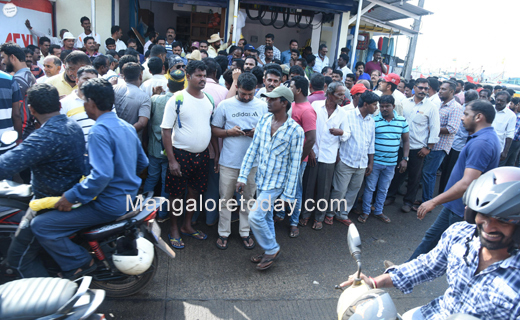 They even staged a protest in front of the office of the Assistant Director of Fisheries.